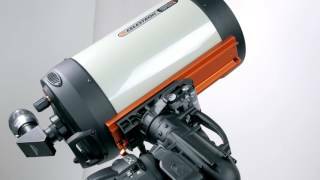 The all-new design of the Celestron CGX mount is the culmination of years of GEM mount design by Celestron’s engineers. 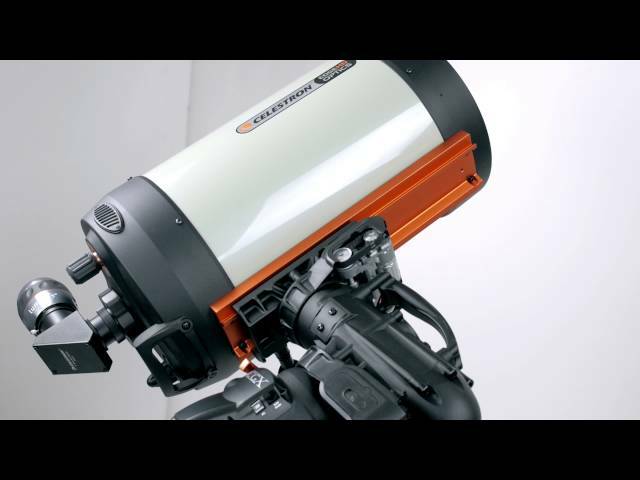 Always on the cutting edge of mount design, functionality and engineering, Celestron has achieved a new level of state-of-the-art with the CGX Series Equatorial Mount. The increased load capacity of 55 pounds will accommodate larger optical tube assemblies, and won’t blink an eye when you add a camera, autoguider with rings, focal reducer, filter wheel, and other imaging accessories that help you create amazing astro-images. This increased capacity and rigidity does not come at the expense of portability. 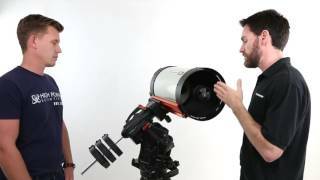 The Celestron CGX EQ Mount only weighs 44 pounds, and the tripod weighs just 19.2 pounds. The innovative CGX has a lower profile than mounts that have come before it. Well-placed carry handles and ergonomic lock knobs make it easy to set up and make adjustments to the mount. a dual fix CGE/CG-5 dovetail saddle accepts your choice of OTA. The CGX is more responsive, with spring-loaded worm gears and belt drives that minimize backlash. Internal cabling means power and accessory ports do not move with the mount, and there are also home & limit switches as well as internal hard stops for both RA and Dec to prevent cable wrap and tripod strike. 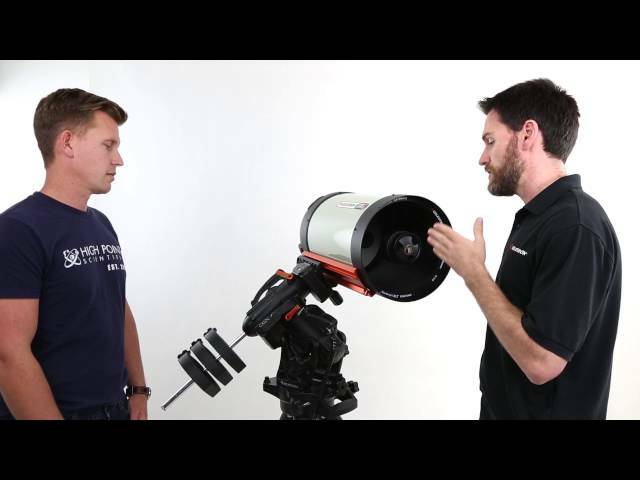 The Celestron CGX Equatorial Mount tracks 20-degrees past the meridian on either side to maximize the best imaging time. Technologies such as SkyPortal WiFi and StarSense AutoAlign are supported, and All Star Polar Alignment technology is built-in, for faster and easier polar alignment. New telescope control software for automation and remote operation has been designed for the Celestron CGX in conjunction with Planewave Instruments. This software features multi-point GoTo modeling, focusing and plate solving. With this innovative software, no third party advanced PC control software is needed! An intuitive hand controller allows you to align and move the CGX with ease. The CGX tripod comes with 2” steel tripod legs that have graduated markings for quick leveling. The spreader bar adds extra stability to the heavy-duty tripod, and offers a few places to store your extra eyepieces when observing. The CGX Mount has a large 55 pound weight capacity! More responsive, the CGX mount has spring-loaded worm gears with belt drives to minimize backlash. Easily mount a wide range of optical tube assemblies on the CGX dual-fit CG-5 (Vixen)/CGEM (Losmandy) dovetail saddle plate. Internal cabling, Home and Limit switches, internal hard stops for both axes work to prevent cable wrap, tripod strike, and keep your cables safe and out of the way. The CGX tracks 20-degrees past the meridian on either side, supporting you in your astro-imaging endeavors. All-Star Polar Alignment technology is built-in, making polar alignment easier and faster. The CGX mount also supports StarSense AutoAlign. Sophisticated telescope control software is all new and designed in conjunction with Planewave Instruments. Features include multi-point GoTo modeling, focusing and plate solving. No third party advanced PC control software is necessary. Mount weighs just 44 pounds, making it very portable. Included heavy-duty tripod has 2" stainless steel legs with graduated marks to make leveling easier. Instrument load capacity: 55 lb. EQ Head Weight: 44 lb.